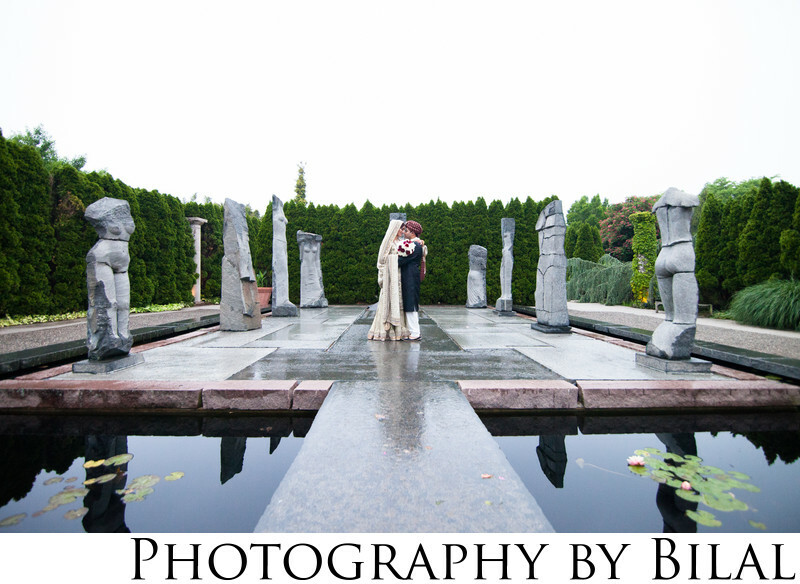 Grounds for Sculpture in Hamilton, NJ, is a beautiful place for wedding photos. Since I am local to Grounds for Sculpture, i've had the pleasure of shooting many weddings there. For this image I had used an ultra wide lens to bring in the entire scene. I think it worked beautifully because all the elements are in the frame and we can get a good sense of the scene.